Home/SEO/Why are your rich snippets not showing? Structured data markup is undoubtedly one among the most effective tools for crafting improved organic results. Structured data is a code which you can add to a site in order to assist search engines offer more detailed result for users, making it appear in a kind which is similar to a rich snippet. You tend to see these snippets always in Google, specifically during search engine results targeted for products and recipes. They usually lure attention of users and hence have high CTR or click-through rates. There can bemany ways in which you can incorporate structured data markup in order to obtain a prefixed goal. However, there are times when your rich snippet just doesn’t come up in the search engine result pages, even though you have implemented the required structured data markup for the website. What is the reason behind this? Why can’t you suddenly see the snippets? Let’s take a look at few reasons behind your snippets not showing in search engine results. 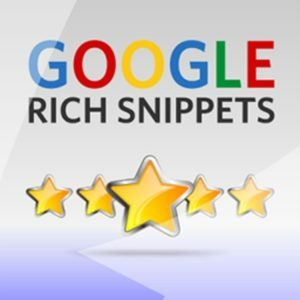 Rich snippets are not something guaranteed. There are many who think that just because they embedded the code to a site, Google will easily start featuring rich snippets. But this isn’t the case. So, snippets are not something that Google promises and hence you can’t take them for granted. Moreover, when structured data markup doesn’t abide by the quality standards of Google, they have the full authority to stop displaying such snippets in SERPs. In case the marked-up content is not going to offer a searcher with any kind of better experience in Google search, you can be rest assured that Google won’t give priority to show such a snippet. This is a time when you may not find your snippet. If there’s a situation when the markup data or the structured data that’s reviewed includes some form of vulgarity or profanity, you can be sure that it won’t come up as a rich snippet from the end of Google. One of the biggest reasons behind your rich snippets not showing up in search engine result pages is when your data is marked in an incorrect manner. There are various areas where the details of the most negligible coding can be neglected which may lead to Google not showing your snippet as it gets hard for Google to comprehend the markup. Schema.org may offer insight into all types of structured data markup which people could be incorporated on a site. The way in which the structured markup code was embedded to the website is one of the most common reasons behind why this happens. When you don’t properly nest schema.org, this can happen. There are several methods to embed structured data markup. You can utilize the vocabulary of schema.org e to remember that either of these variations of structured data might be leveraged on one web page and mixing different things can make rich snippets to not show up in a proper manner. While you’re striving to get rich snippet results, don’t ever rely on organizational itemscope as this will rarely happen. There might be missing supporting content for review from rich snippets in case Google doesn’t deem the domain to be authentic and credible. Therefore, if you don’t see your rich snippets, be sure about the reasons behind this by referring to the ones mentioned above.